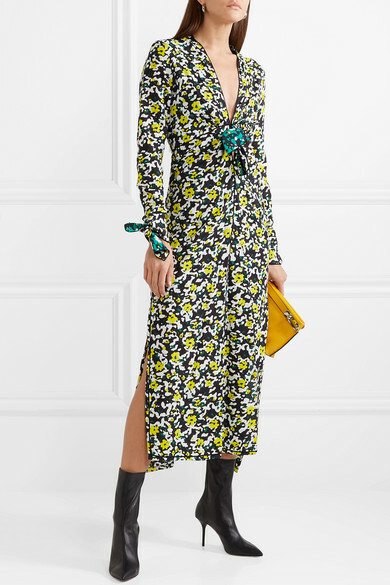 So many pieces from Proenza Schouler's Spring '19 collection are decorated with iterations of the refreshing floral print on this midi dress, and we can't get enough of them. Cut from fluid georgette in a slim silhouette, it has a deep V-neckline and flouncy ties at the nipped-in waist and cuffs - gently knot them to reveal their contrasting backing. 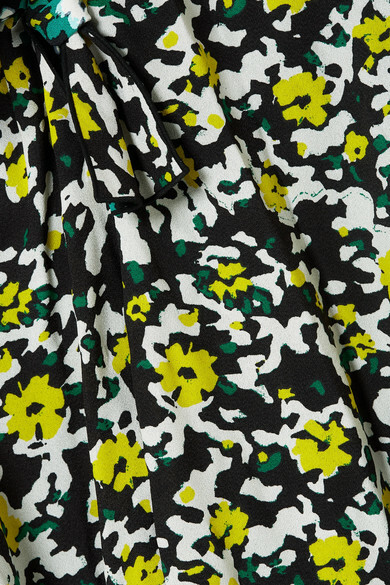 Wear yours with tonal sandals or ankle boots. Shown here with: Loewe Shoulder bag, Aquazzura Sock boots, Leigh Miller Earrings.